If anyone knows of more work by this artist, please share! 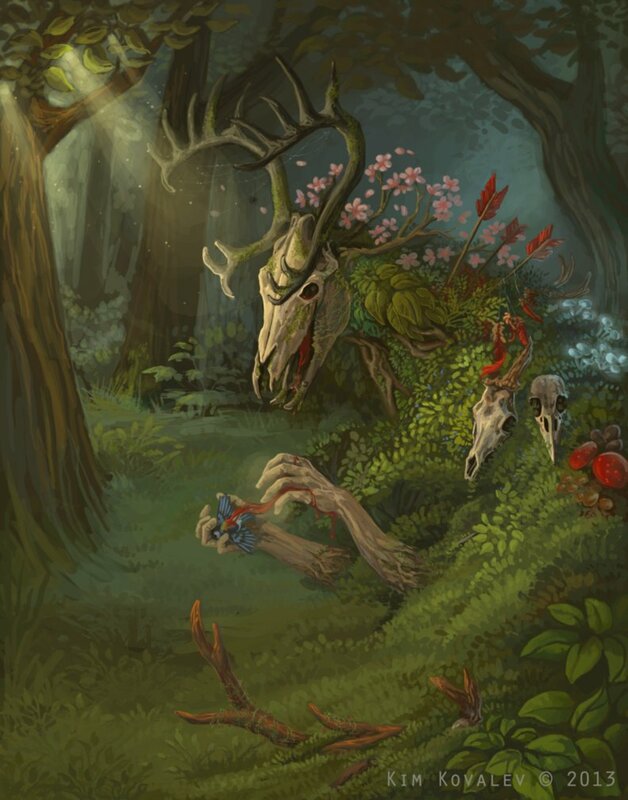 This entry was posted on March 9, 2015 at 8:58 pm and is filed under art, sea, skulls and skeletons with tags art, sea, skulls and skeletons. You can follow any responses to this entry through the RSS 2.0 feed. You can leave a response, or trackback from your own site. 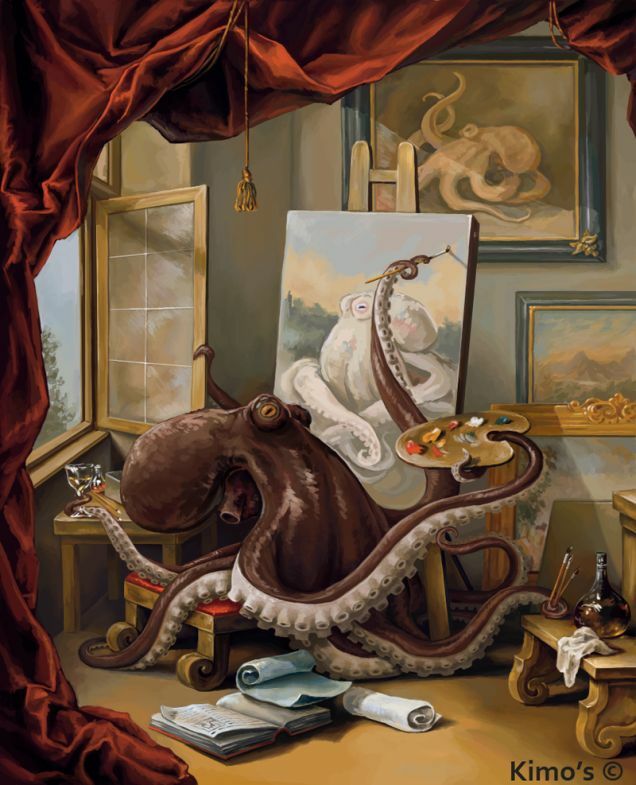 Is that octopus paint a tentacular Mona Lisa? I wonder if there’s a mysterious smile under all those tentacles. Yes, the expression on her face is decidedly ambiguous. The octopus painting is my new favorite thing. Ever. You’re very welcome! Glad you like!